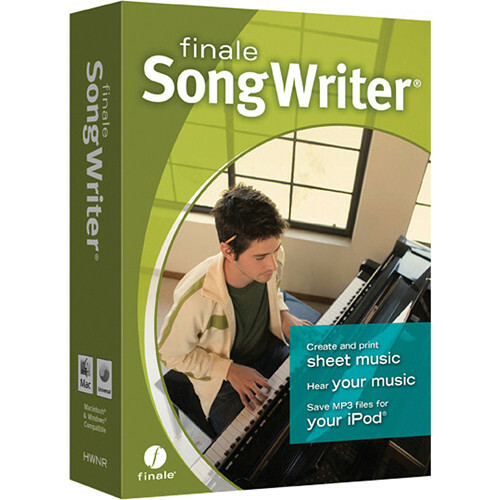 Finale SongWriter from MakeMusic is notation software designed especially with songwriters in mind, and provides a fast and easy way to create and print professional quality sheet music. Enter notes with a mouse, computer keyboard, or MIDI device, or import MIDI and/or MusicXML files. Create great looking sheet music that sounds great when played back via the included instruments, and then share your music in multiple ways. Listen to the results before the rehearsal, so if necessary you can quickly refine your music to sound exactly the way you want.